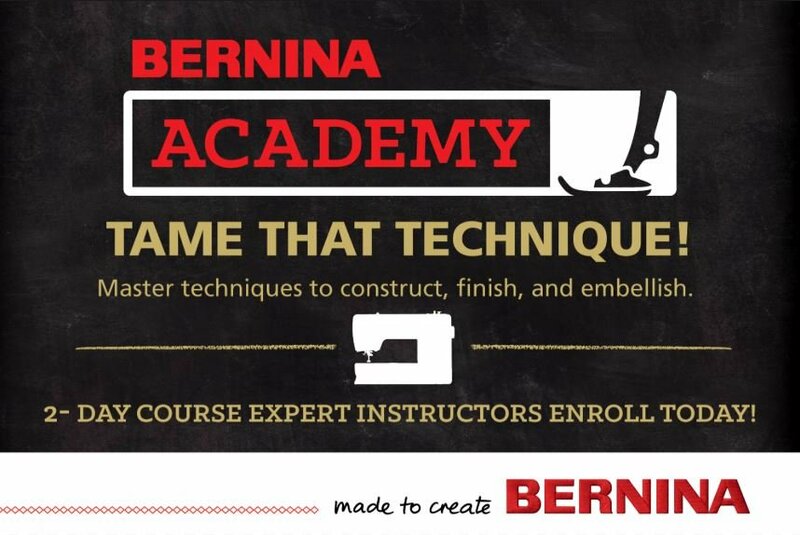 Discover the beauty of BERNINA machines as you explore everything from closures, to hems, to elegant embellishments. Master techniques like piping, Spanish hemstitching, exposed zippers and so much more! We will be utilizing the top of the line Bernina Sewing and Embroidery machines. Workbook, fabrics/materials plus a usb stick with patterns and instructions will all be provided by Barnes Sewing Center. Lunch/refreshments will be provided each day along with door prizes! Please call 330-920-1583 to sign up!